I live in an urban environment so understand the constraints of smaller gardens with less space. 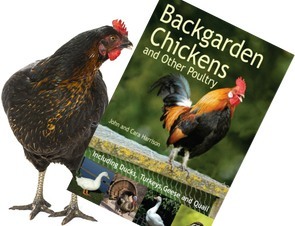 As a consequence I have chosen to specialise in bantam breeds, which require half the space of large fowl chickens, consume less feed and produce fairly decent sized eggs. I also have day old auto sexing large fowl chicks and growers. To find out what I have available please feel free to call. Breeds: Pekins both smooth and frizzled. Wyandotte Bantams Silver and Gold Laced. Auto sexing chicks from day old to 6 weeks. Chinese Painted Quail. Fertile hatching eggs.